Salted fish is not only a true delicacy, you can let loved ones or friends, but also a great way to save your family budget. 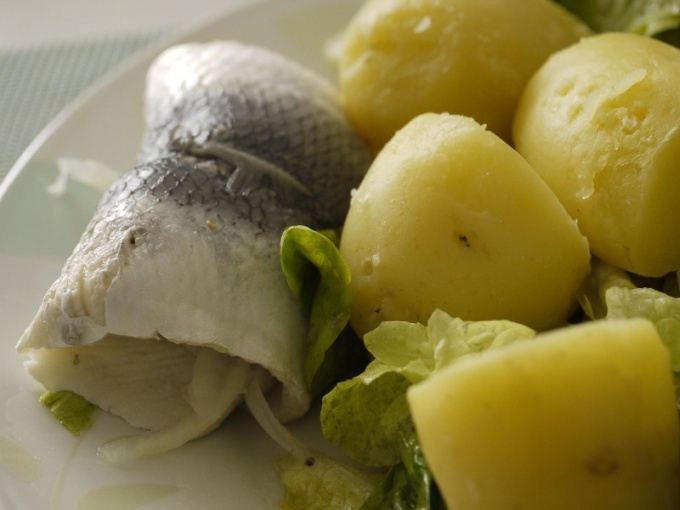 Salting fish is very simple and does not require much time. At home you can salt salmon, salmon, king salmon, pink salmon, and any river fish. There are several methods of salting: spicy Ambassador, Ambassador balacony cooking "roach". Choose the method of salting, depending on how long you plan to keep fish. To procure fish for the future fit salmon or dried fish and to eat fish from spicy Ambassador. Fish do not need to wash and gut. In that case, if the fish is frozen, it can't defrost. Prepare an enamel or plastic container for salting. Put in a container a first layer of fish, alternating tails and heads. On the bottom it is best to put the biggest fish. Pour the first layer of salt. It is necessary to put not too much but evenly. Also put a few leaves of Bay leaf, peppercorns and chopped or whole coriander. Next, place the second layer of fish and spend the brining. In the same way place the fish to the top. Cover the container with a wooden circle so that he was laying on the fish and top install oppression. As the yoke, you can use the bottle with water. Then place the container with the fish in a cool place for 3-4 days. After 12 hours the fish have to extract the juice. After 3-4 days, remove the container, drain the juice, rinse the fish and then soak for an hour in water to remove excess salt. Spread on a table several layers of Newspapers, and on top of the cheesecloth, then lay in your fish and dry for 2 hours, then flip again and leave for 2 hours. About the readiness of salted fish can be judged by the fact that she got a pink color and delicious smell. Now the fish can be eaten. Store salted fish in the freezer or the cold. To prepare the "roach" salt fish is exactly the same as in spicy salting, for 3-4 days. Next, rinse it, remove the salt, wipe and hang to dry on the line or nylon thread. Then keep salt fish in a plastic bag in the refrigerator. Rinse and gut the fish, cutting off head and tail, as well as separating the lower part of the ribs, which is salted separately, with a smaller amount of salt. For very large fish make in longitudinal sections. Mix 10 tbsp. of salt, 4 tablespoons sugar, a little cinnamon, coriander and pepper and RUB this mixture on your fish. Each fish, wrap in cheesecloth and tie with string. Put it in the fridge. The fish in the salting is to extract the juice — be sure to drain it. After 7-10 days, rinse the fish and wipe dry. Salted fish can bring to the table. To keep such fish should be refrigerated from time to time rubbing oil.